Description: Stock Photo of John Kerry Giving his Campaign Speech. 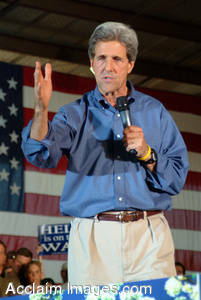 2004 presidential candidate, John Kerry in the midst of giving his campaign speech in Medford, Oregon on August 12, 2004. You may purchased this photo as a poster or an art print. It is also available to license as stock photography.